Black-bellied Slender Salamanders, B. nigriventris, and Garden Slender Salamanders, B. m. major, overlap in range in Southern California. 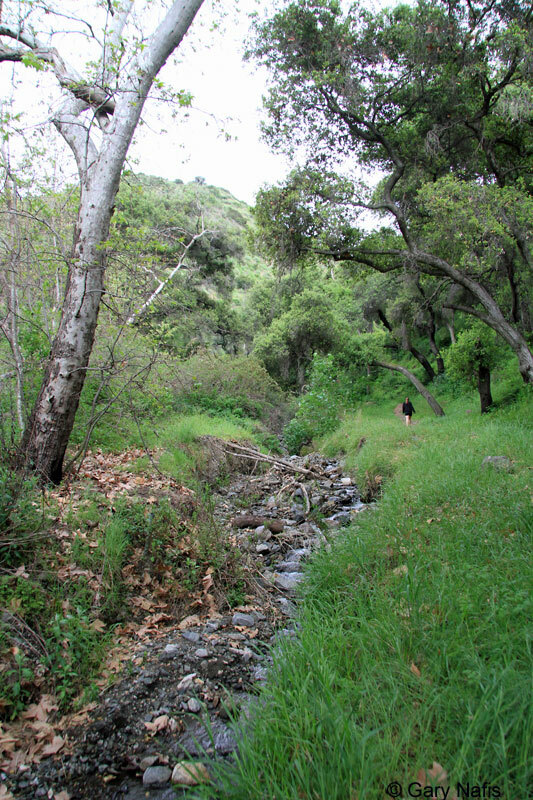 Ongoing surveys have found that both species occur throughout most of the L.A. Basin, as well as in the mountains and foothills. It can be difficult to identify these two species where they both are found because it is hard to tell them apart unless they are side by side and that is not often possible. You can't tell just by the size or the body color alone. Both species are about the same size, and both have similar color variations. The best way to determine the species is to look at the color of the salamander's underside. If you find a salamander in L.A. or Orange Counties, it could be either species. 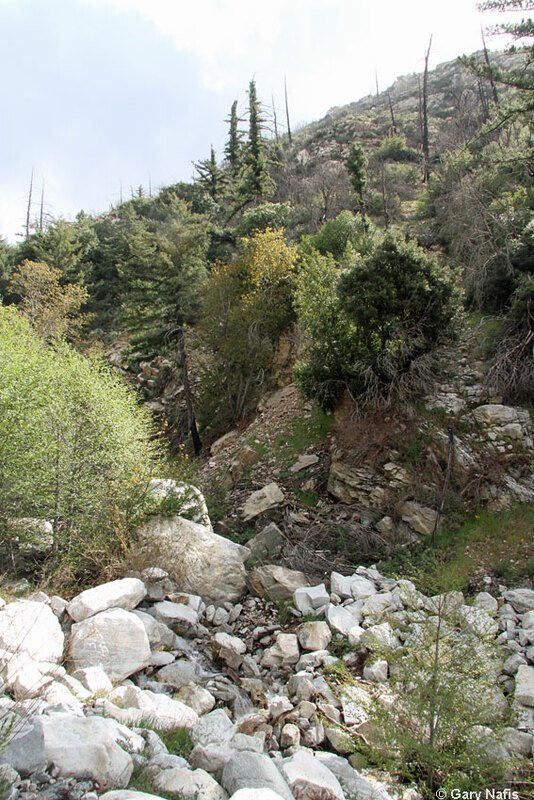 (If you find it high up in the San Gabriel Mountains, look here.) If you find a Black-bellied Slender Salamander in one of these counties, it will be helpful to those who are tracking their range in the area if you take some pictures and then report your observation at H.E.R.P. and iNaturalist. People there will also help you to confirm your ID as long as you photograph the underside. Note the larger body, legs, and toes of B. m. major. Comparison of the undersides of B. nigriventris (Left) and B. m. major (Right). B. nigriventris is dark in color on the belly and under the tail. B. m. major is light gray under the tail and throat and not as dark on the belly. Batrachoseps incognitus, the San Simeon Slender Salamander (top) occurs with B. nigriventris (bottom) in northern San Luis Obispo County. B. incognitus has slightly larger legs and toes and neck. 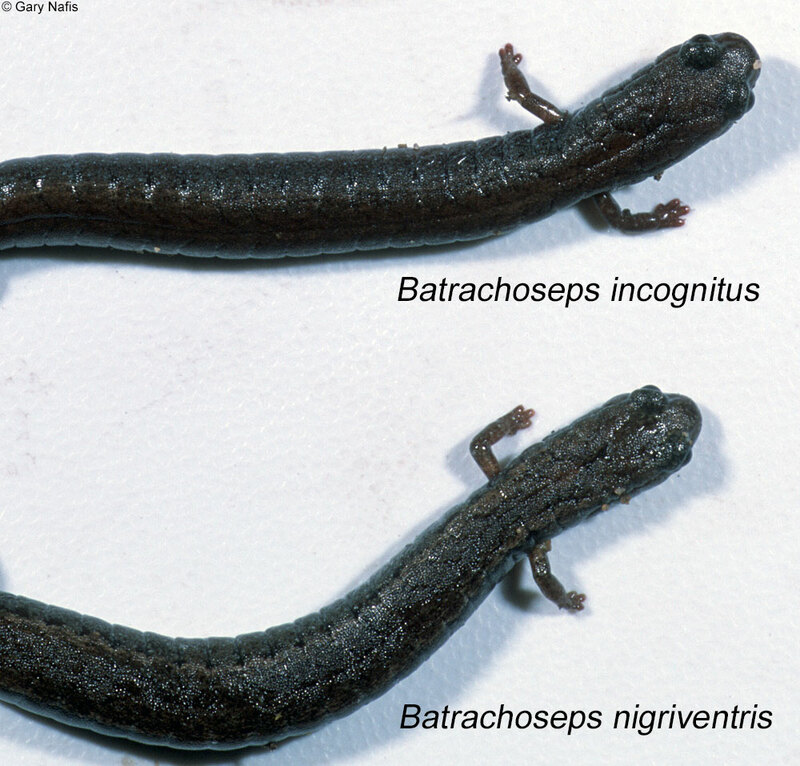 The ranges of Batrachoseps gavilanensis, Gabilan Mountains Slender Salamander, and B. nigriventris overlap slightly. Batrachoseps gabrieli (right) occurs with B. nigriventris (left) at some locations in Los Angeles County. Note the larger more robust limbs and body of B. gabrieli. These two were found next to each other. © William Flaxington Batrachoseps minor, the Lesser Slender Salamander, shown to the left, occurs entirely within the range of B. nigriventris. It is shown here with a small adult specimen of B. nigriventris which was found outside of the range of B. minor. B. minor has distinctly larger hands and feet. The range of Batrachoseps stebbinsi (bottom) overlaps that of B. nigriventris (top) in a small area in the Ft. Tejon area and the Tehachapi Mountains. These salamaders were found together under the same rock. The B. stebbinsi here is a bit shorter than the B. nigriventris, but note the much larger legs and toes of B. stebbinsi. Adults are 1 1/4 - 1 7/8 inches long (3.2 - 4.7 cm) from snout to vent. A small slim salamander with 18 - 21 costal grooves. Short limbs, a narrow head, long slender body, very long tail, and conspicuous costal and caudal grooves give this species the worm-like appearance typical of most Slender Salamanders. There are four toes on the front and hind feet, which is also typical of Slender Salamanders. The tail may be up to twice the body length on mainland adults, but only up to the body length on adults from Santa Cruz Island. Color above is dark brown or blackish with a reddish, brown, or tan dorsal stripe. The venter is dark with fine white speckling. 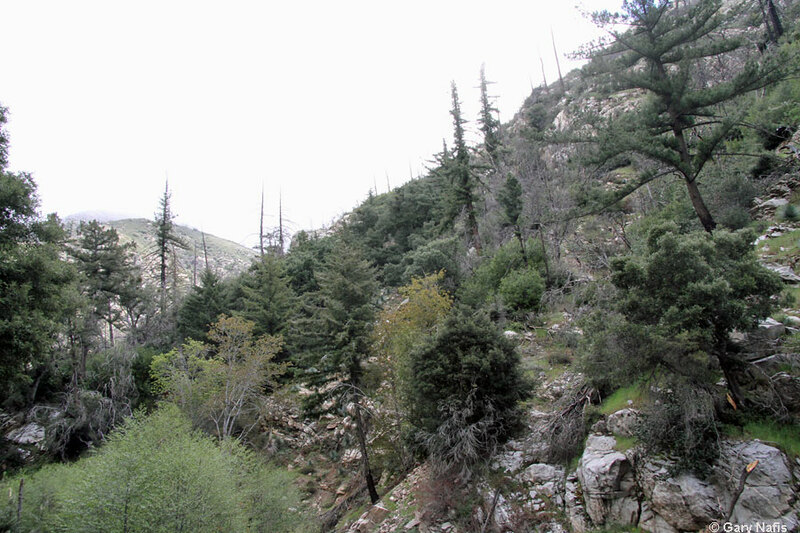 Co-exists with B. gabrieli at some localities in the San Gabriel Mountains. 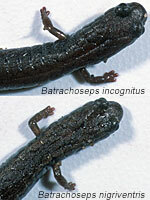 B. nigriventris has a narrower head, shorter limbs, smaller feet, longer tail. Coexists with B. m. major in some mountains in Los Angeles and Orange counties. B. m. major is the larger, more robust, of the two species, with longer limbs and a broader neck and head. Coexists with B. minor in the Coast Range. B. minor is distinguished by its more robust body, broader head and longer and larger limbs with more conspicuous toes than B. nigriventris. Coexists with B. gavilanensis in the souther part of its range. B. gavilanensis is the larger, more robust, of the two species, with longer limbs and a broader neck and head than B. nigriventris. Co-exists with B. incognitus in some areas. B. incognitus is the larger, more robust, of the two species, with longer limbs and a broader neck and head than B. nigriventris. The digits of the toes of B. incognitus are individually distinct, and easier to see when compared to B. nigriventris which has smaller digits. 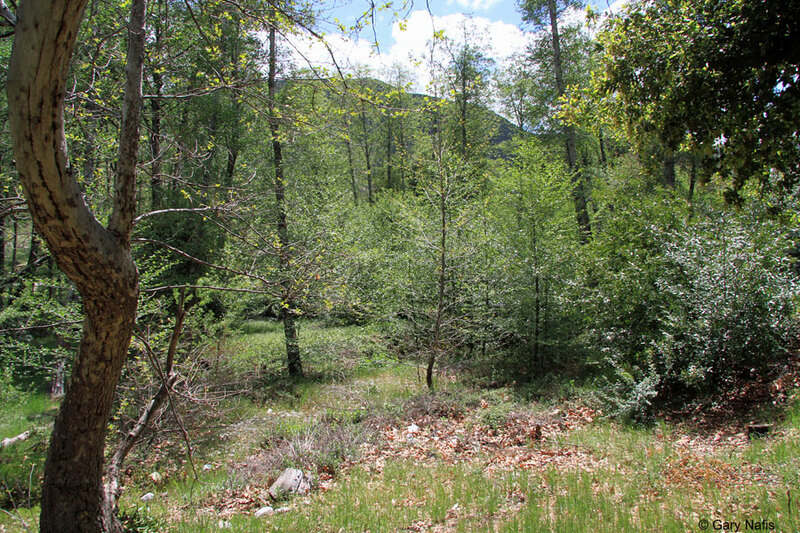 Coexists with B. stebbinsi at several locations in the Tehachapi Mountains where B. stebbinsi can be distinguished by its more robust body with longer legs, largeer feet, distinct toes, and broader head. Coexists with B. pacificus on Santa Cruz Island. The two species can be differentiated by ventral color - dark on B. nigriventris, and light on B. pacificus, and by the darker color, smaller, slimmer body, and thinner limbs of B. nigriventris. Active on rainy or wet nights when temperatures are moderate, fall through spring. Retreats underground when the soil dries or when air temperature drops to near freezing. Found under rocks, logs, bark, and other debris. - Coiling and remaining still, relying on cryptic coloring to avoid detection. - Uncoiling quickly and springing away repeatedly bouncing over the ground, then remaining still again to avoid detection. - Detaching the tail, which wriggles on the ground to distract a predator from the salamander long enough for it to escape. Eats a variety of small invertebrates. Feeding behavior is not well known, but other Batrachoseps species are sit-and-wait predators that use a projectile tongue to catch prey. Little is known about the Breeding behavior and egg-laying habits of this species. Slender Salamanders typically lay eggs in moist places on land. In southern California, B. nigriventris lays eggs in the winter which hatch in winter and early spring. Eggs have been found in early December in the Coast Range. Inhabits mostly oak woodlands but also found in chaparral, grasslands, streamsides, and oak and pine forests. Found under rocks, logs, bark, and other debris in moist areas. 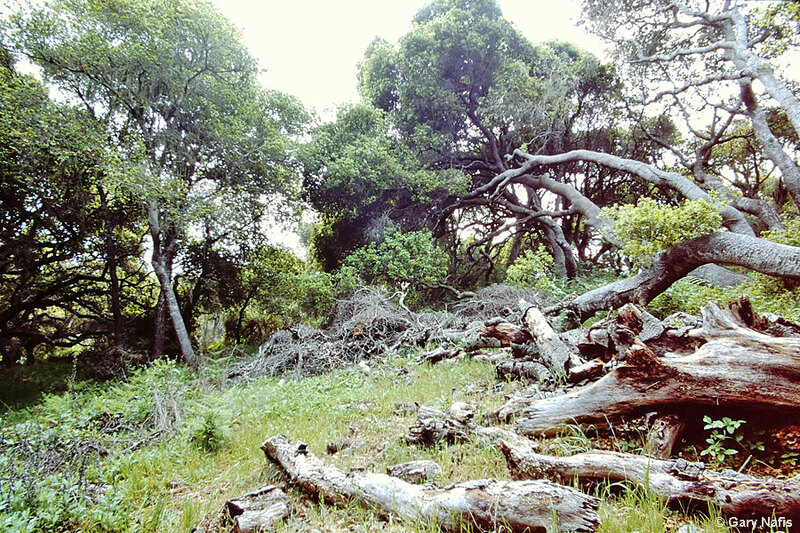 On Santa Cruz Island, occurs in streamside Eucalyptus forest, under coastal driftwood, in oak woodland, and in open grassland. South of the Tehachapi Mountains, this species is found mostly in moist mountain and foothills canyons. Endemic to California. Found in mountains and valleys of the coast range from southern Monterey County south to the Santa Ana Mountains, including the Tehachapi, Santa Monica and San Gabriel Mountains east to Cajon Pass. Also found on Santa Cruz Island. 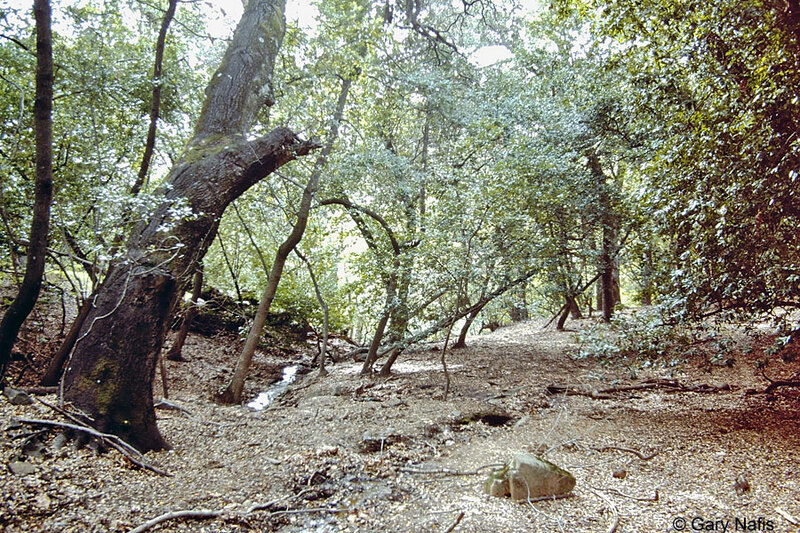 Sympatric with B. gabrieli in the San Gabriel mountains, with B. minor, B. gavilanensis and B. incognitus in the Coast Range, with B. m. major in Los Angeles and Orange counties, with B. stebbinsi in the Tehachapi mountains, and with B. pacificus on Santa Cruz Island. were re-described as B. gregarius in 1998. In 2000, Wake and Jockusch determined that B. nigriventris consists of three distinct lineages which include those found from Monterey County south to the Tehachapi Mountains, those found south of the Tehachap Mountains from Ventura and Los Angeles south to the Santa Ana Mountains and east to Cajon Pass, and those found on Santa Cruz Island. Here's a Diagram of the Batrachoseps Complex showing the relationships between species. Batrachoseps: Greek - amphibian, frog lizard - describes lizard-like appearance. nigriventris: Latin - black ventris of the belly, referring to the dark venter.